In their first full year as real estate investors Josh and his brother Adam closed 18 deals and when we shot this case study with them in January 2015 they closed another 2 deals that month alone. 4 of those deals came from their SEO (search engine optimization) efforts through InvestorCarrot… totaling over $32,000 in gross profits! 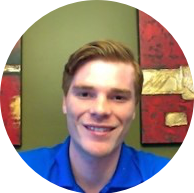 Josh was working as an administrative assistant for a law firm before taking on real estate investing as a career. Josh knew early on that the 9-5 cubicle lifestyle wasn’t going to suit him. Josh started studying the real estate investing industry and says he suffered from paralysis by analysis which is a common limiting belief of real estate investors who are just starting out. Josh and Adam started with direct mail their first 6 or so months of investing in real estate. They were able to close a deal with direct mail and went in with another investor on a purchase and rental deal. But Josh said after a couple months of direct mail they started looking into the online side of marketing their real estate investor business. Josh and Adam personalized their InvestorCarrot website to fit their needs. Because they were focusing on SEO they decided to rewrite most of the content on their site. Although it took some time and wasn’t an easy process. It has paid off. Their website ranks really well after they rewrote much of the content. The website converts well because of the design layout InvestorCarrot websites come with but the added SEO benefit of rewriting their own content has really given Josh and Adam a boost in driving traffic. Does your real estate investor business need more leads? Just like Josh and his brother you can have access to the same websites, tools, and trainings to tweak content to help rank for your target market. See the same tools they used to get on the first page of Google and take a demo today! Already take a demo? View pricing.